Theresa May is set to announce a ?106m funding boost for the research and development of zero-emission vehicles to help meet a target for UK roads to be free of petrol and diesel cars by 2050. Speaking at the inaugural Zero Emission Vehicle Summit in Birmingham today, the prime minister will lay out her vision for how Britain will "lead from the front" in phasing out petrol and diesel cars in favour of green technology. "I want to see Britain, once again, leading from the front and working with industries and countries around the world to spearhead change," she will say. "That is why I have set this country an ambitious mission. To put the UK at the forefront of the design and manufacturing of zero-emission vehicles and for all new cars and vans to be effectively zero-emission by 2040." In addition to the 2040 target, Mrs May will say that every car and van in the UK will be zero-emission by 2050.She will also boast of an already prolific production line for electric cars in Britain, with those manufactured here accounting for 20% of sales of the eco-friendly vehicles in Europe.The €106m fund will be dedicated to advances in low-emission vehicles and hydrogen technology, with a further €500m to be invested by key industries in the sector - creating more than 1,000 jobs across the country.Mrs May will say that both cash injections will "drive the design, use, uptake and infrastructure necessary for cleaner, greener vehicles" - and help the UK meet its obligation to the Paris climate accord. The sale of petrol and diesel cars will end in 2040 - with a new tax on diesel drivers from 2020. The prime minister has repeatedly stressed her belief in the agreement since last year, when it was dealt a major blow by Donald Trump's announcement that the US would be withdrawing.For Mrs May, the summit in Birmingham will also be an opportunity to try to drive more foreign investment into the UK via discussions on how to accelerate the development of the zero-emissions market. 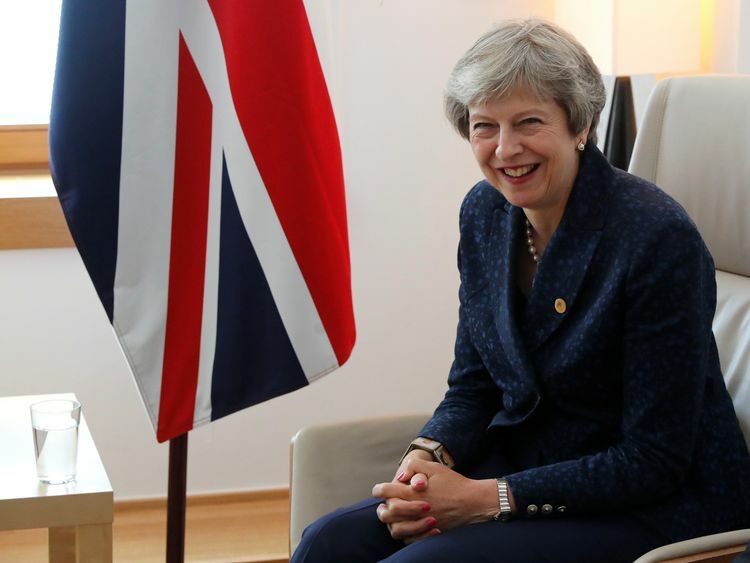 She will hold talks with supply-chain companies from the US, Germany, Japan, China, Spain and India during the event, which will also see the unveiling of a UK-led international initiative dubbed the "Birmingham deceleration".The project aims to pave the way for the global deployment of green vehicles and the introduction of zero-emission infrastructure, with its first signatories including Italy, France, Denmark, UAE, Portugal, Belarus and Indonesia.Among the government officials joining Mrs May at the summit will be Business Secretary Greg Clark. Speaking to Sky News, Mr Clark hailed the manufacture of electric vehicles as a "huge success story" in the UK and said drivers could be incentivised to opt for an electric vehicle with preferential parking spaces.Mr Clark also made the case for a Brexit deal along the lines of Mrs May's Chequers proposals, due to the importance of EU trading ties for car manufacturers.He added: "It's one of the reasons why we need to have a deal with the rest of the EU that allows one of the most sophisticated ways of producing products on earth - the components coming in from all parts of the EU and elsewhere across the world, and being exported out there. "It operates in a 'just in time' way. I've been in car plants and seen components arrive just two hours before they're put in a new vehicle. "That's why the proposal that's been made and is now being negotiated is so vital, because it means this fantastic business that already employs hundreds of thousands, millions of people in the wider supply chain across the country, can continue to prosper." » Diesel cars: Why are sales falling?